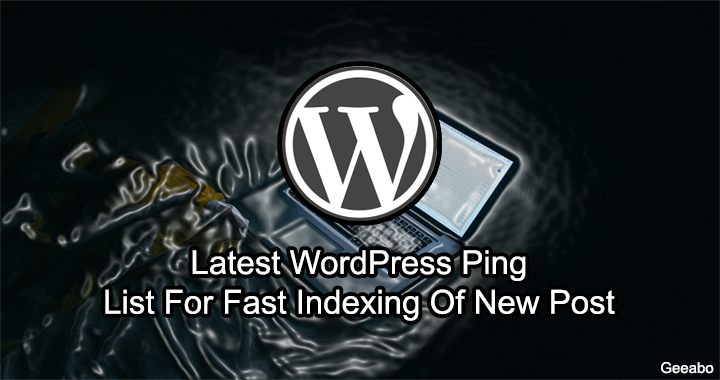 This article of Geeabo teaches you How to Update Your WordPress Ping List For Fast Indexing Of New Post. Hey Friends, Do you know what is WordPress Ping List ? If you are a guy who manage your website on WordPress platform then you must need to know about WordPress Ping List. Friends WordPress Ping List is an updated service by WordPress. 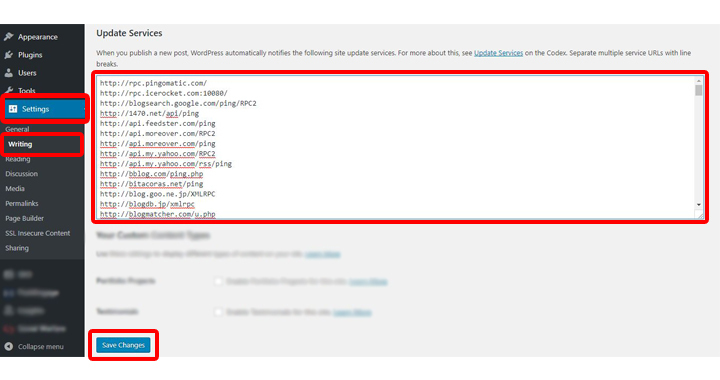 After updating ping list, Whenever you publish a new post on your blog then WordPress automatically notifies all the sites which you have already saved on your update service. Pinging helps you to submit your post on search engine very quickly. When ever you publish a new post or modify your old post then WordPress ping all the ping sites which you have already saved on your update service box. WordPress automatically ping all the important sites but as you all know that I’m a very impatience kind of a person and I can’t wait for WordPress to ping to other ping services. So I think, update the ping services manually is a great idea to fast indexing your new post. How To Update Ping Service? Copy all the ping sites. Now Click on Settings then Click on Writing. Under Update Service, simply paste all the ping sites and click on Save Changes. So this was the WordPress Ping List 2018 – For Fast Indexing Of New Post & Process to Update Ping Service. Hope you guys like this article and you have learned something new, Something techy. Please Do Like, Comment and Share our articles if you really appreciate my work. List Of High PR Dofollow Quality Backlinks Sources. How To Restore Android Phone From Backup (with Pictures). How To Roll Back Windows 10 Update From 1709 to 1703. What Are Some Important WordPress Plugins that Every Blogger Uses. If you have any question regarding this article then you can ask me in the Comment box below. Founder of Geeabo and Managing Editor. He began blogging in 2017. In the Geeabo community you receive a new article everyday. Where I tell you some important things about the world of Technology, Inspirational, How to, etc. Thanks for the comment, Lokender! Is premium ping services will be spam? Copyright © 2017 - 2019 Geeabo.com. | Theme by aThemes. Disigned by Swapnil Narayan.